Metric Theory is pleased to announce the appointment of industry veteran, Brian Jones, as Senior Vice President, Enterprise Business Group. As Metric Theory continues to post significant growth for both our clients’ paid media efforts and our agency, we are committed to investing in top talent, technology, and strategy. Brian’s expertise and track record of winning, servicing, and growing enterprise accounts and teams is truly impressive. We are excited to have him join the Metric Theory team. Brian brings over 17 years of experience in digital marketing. He has worked both client-side and agency-side across verticals like technology, distribution, retail, automotive, financial services, and education. 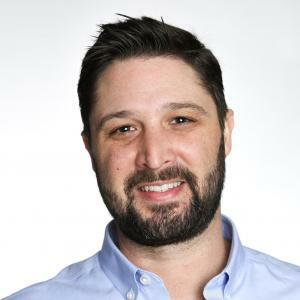 Over that time, Brian has led digital marketing strategy for Fortune 1000 brands like Paychex, Chrysler, Quicken Loans, University of Phoenix, Cisco, Intuit, and more. “I am very excited to join the Metric Theory team. They have done a fantastic job building the agency and have a top-notch management team, supported by market-leading retention rates of employees and clients in a very competitive industry, “ said Brian. Most recently, Brian was the Global Head of Performance Advertising & Biddable Media at DWA, the largest independent global technology agency in the world until it was acquired by Merkle in 2018. His deep understanding of the ad tech ecosystem, including audience activation, data management, programmatic solutions, SEM, social advertising, and analytics allowed him to build DWA’s Performance Advertising division into a global force. Please welcome Brian to Metric Theory, and we look forward to Brian driving growth for Metric Theory’s clients and the agency as a whole.